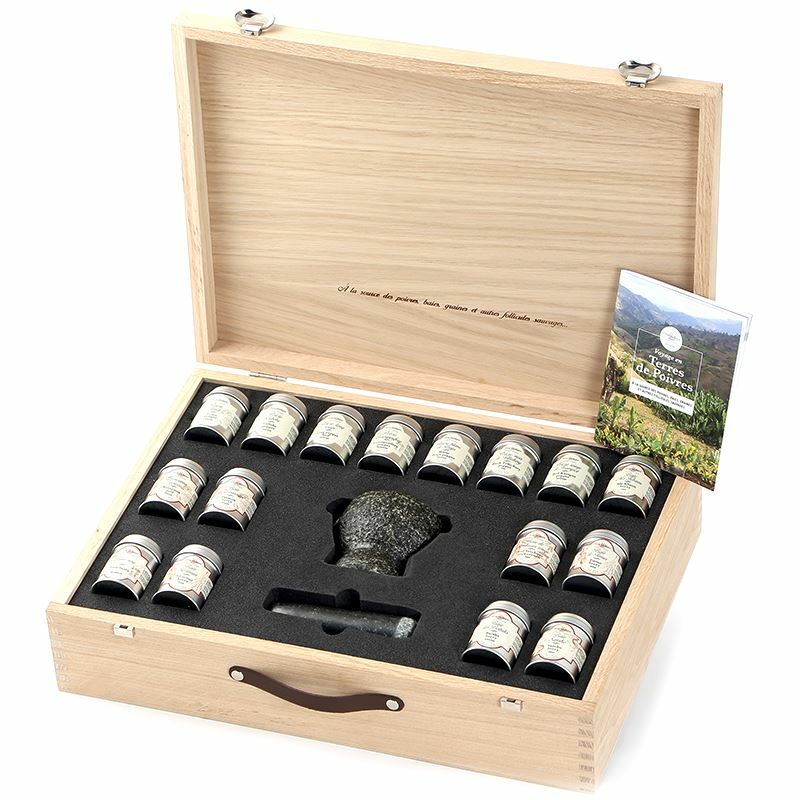 This gift box includes four grand cru peppers (Voatsiperifery Pepper, White Penja Pepper, Sil-timur Berry, Passion Berry) and a booklet entitled "A Journey Through The Land of Peppers". Voatsiperifery Pepper, 20g, Madagascar, Piper borbonense. White Penja Pepper, 30g, Cameroon, Piper nigrum. Sil-timur Berry, 15g, Nepal, Lindinera neesiana. Passion Berry, 12g, Ethiopia, Ruta graveolens.